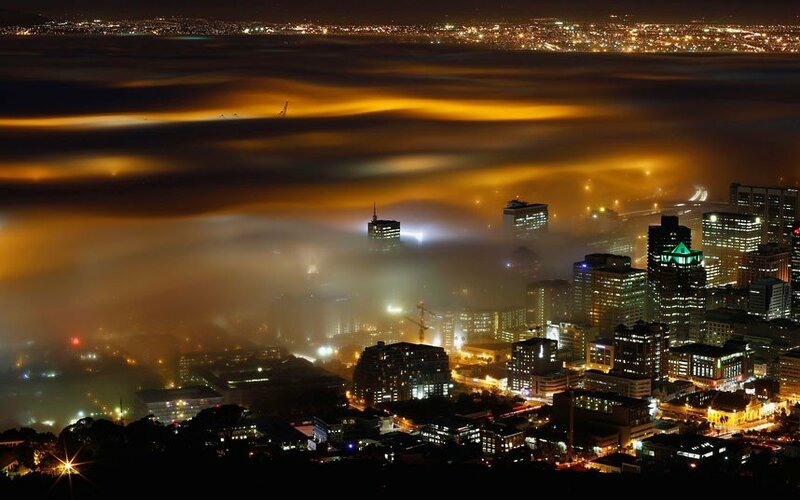 While everyone is (rightly) sharing Anelia Loubser’s Cape Town fog photo from last night (that link from her Facebook profile), it seems that there was another individual on the Grassy Knoll we call Signal Hill. Which was published along with this one here. For me it’s a much better photo. Anelia’s looks rather clumsy and overexposed alongside this. The longer exposure makes for gorgeous, smooth waves of fog and the tips of the harbour cranes are the icing on the cake. Wonderful.